Just loved these adorable comic book characters. They are originals put together by the comic creator. 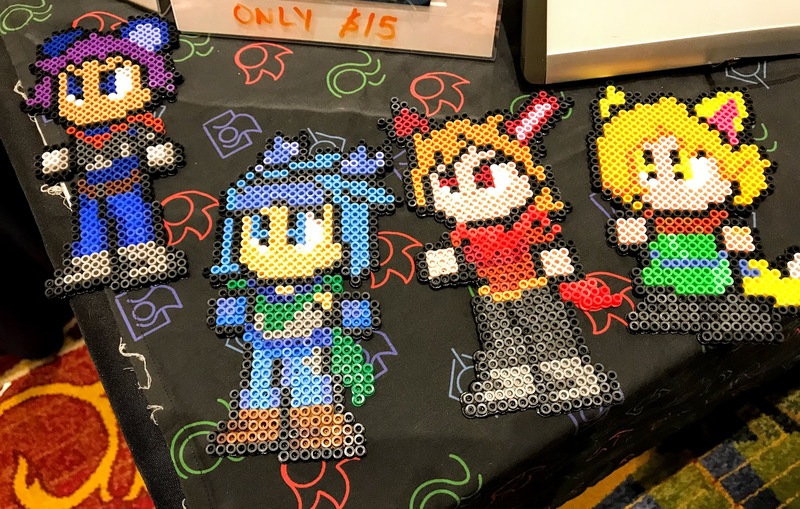 The characters are made from colored Perler Beads. Once the beads are laid out into these awesome characters, they are iron-melted together. Each of these was advertised for $20 (not the $15 listed at the top of the picture), but we got a deal. Together as a set, they are very cool, colorful, and fun to liven up any environment.